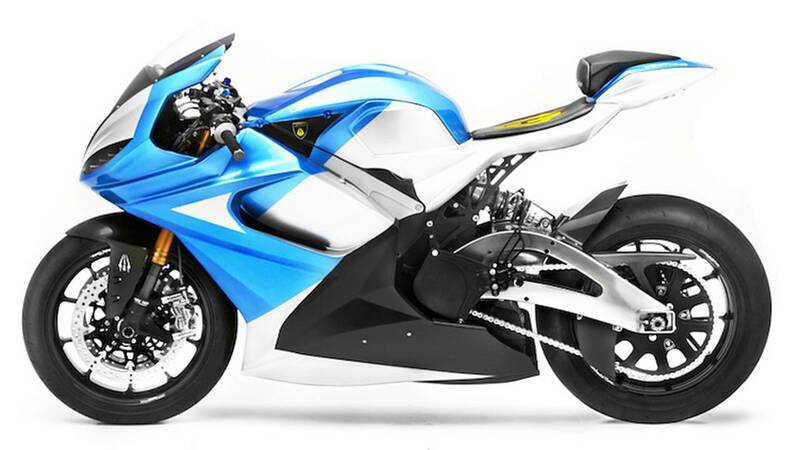 Before you drop $50,000 on that Kawasaki H2R, perhaps you should consider spending $38,000 on a bike that's just as fast AND environmentally friendly - the Lightning LS-218 electric superbike. 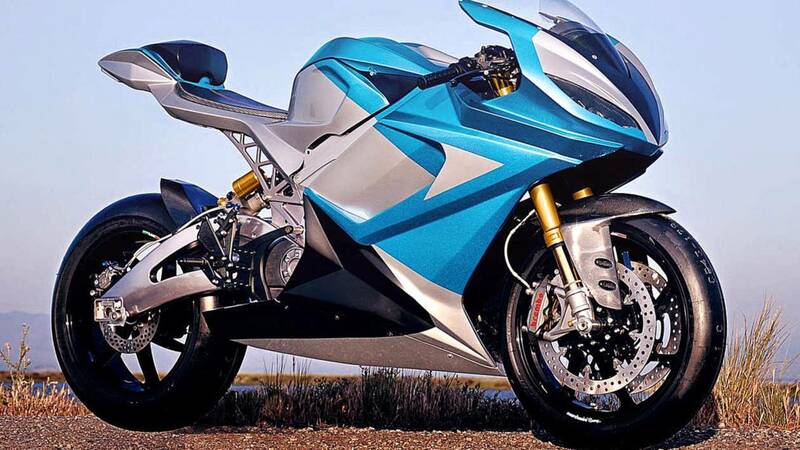 You know your bike is fast when it derives its name from its tested top speed, 218 mph. Unlike Kawasaki, who've been a bit coy about the H2's top speed, Lightning is literally hanging that number on their new bike like a badge of honor. On November 12, the company delivered the first purchased model to new owner Troy Helming - who had placed his order about a year ago. 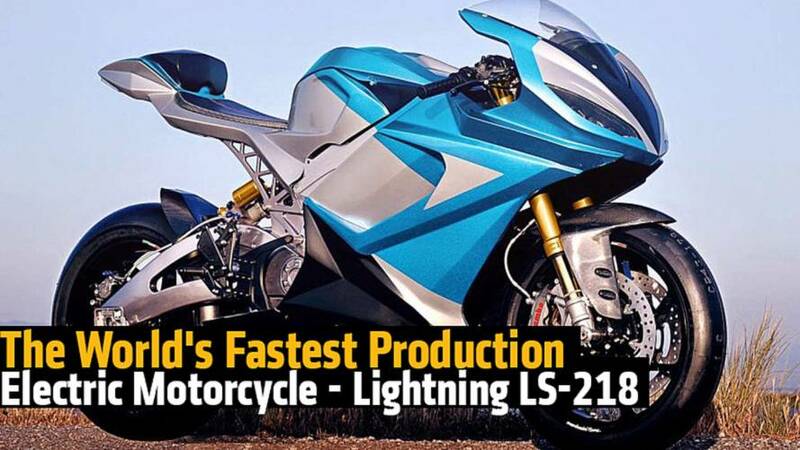 While there’s some debate as to whether or not the LS-218 is the world’s fastest electric bike (builders like Chip Yates and Eva Hakansson and her husband Bill Dube have put together faster test bikes), it is the fastest one currently being sold. 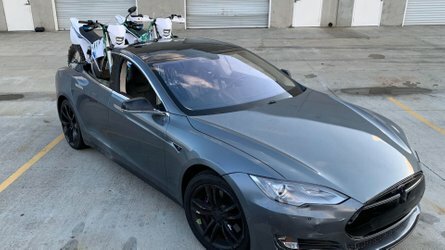 The bike gained notoriety last year by being the first electric motorcycle to win the Pike’s Peak Challenge – and it wasn’t even close. The 2013 Pike’s Peak International Hill Climb was the first time electric bikes were allowed to compete, and the Lightning effectively silenced the critics. LS-218 rider Carlin Dunne finished about 21 seconds ahead of the closest gas-powered competitor. That feat added to the growing buzz about the potential for electric bikes – potential that right now seems limited only by the low range, long charging times, and prohibitive costs of most electric bikes. 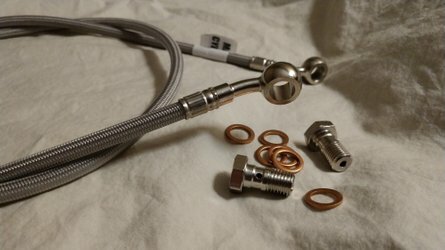 How does the LS-218 reach those speeds? 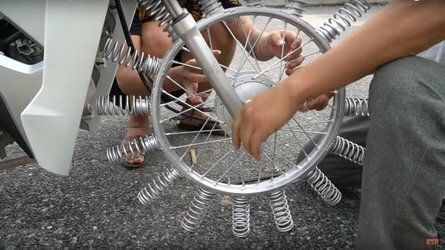 The prevailing thought was that electric engines gave the bikes impressive torque (since maximum torque can be made immediately), but couldn’t produce enough power to generate speeds to match those of gas-powered bikes. The LS-218 sports a liquid-cooled 150kw direct-drive electric motor that produces 200hp and 168 ft-lbs of torque. Curb weight is 496 pounds. Riders who want to increase the bike’s range (and we’re guessing that going 218 MPH for any length of time will probably drain the battery a bit quickly) can opt to buy larger battery packs; Lightning says that the 20kw pack will increase the range to 160 – 180 miles per charge. Lightning has made the bikes available for order, so if you’re interested, check out the company’s website. 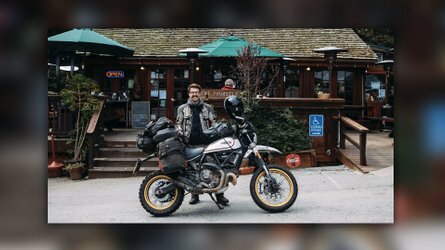 The company is already thinking about their next model; according to company president Richard Hatfield, it’ll be a naked bike in the style of KTM’s Super Duke.